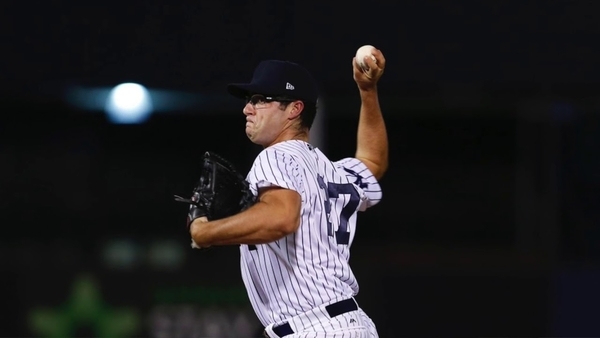 Baseball America posted their top ten Yankees prospects list yesterday. I’ll post some thoughts on it next week, but there’s the list for now. Also check out their companion post and chat for even more info. You need a subscription to read the scouting reports for prospects 2-10, otherwise everything is free. Eric Longenhagen spoke about RHP James Kaprielian on the FanGraphs podcast earlier this week. The Kaprielian stuff starts at the 23:52 mark. 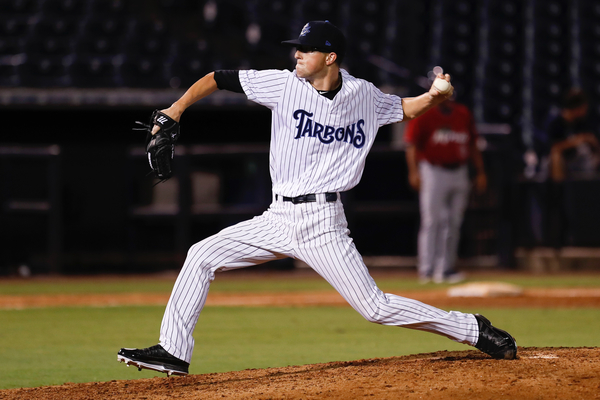 Longenhagen said everything looked the same out of Kaprielian’s hand during a recent AzFL outing, making it really tough for the hitter to differentiate his pitches. Pretty neat stuff. Check it out. Ex-Phillies scout Therron Brockish wrote about RHP Dillon Tate for Baseball America (no subs. req’d). The report is pretty glowing in general and indicates he can start, though Brockish wonders if Tate will eventually settle in as a high-strikeout late-inning reliever. 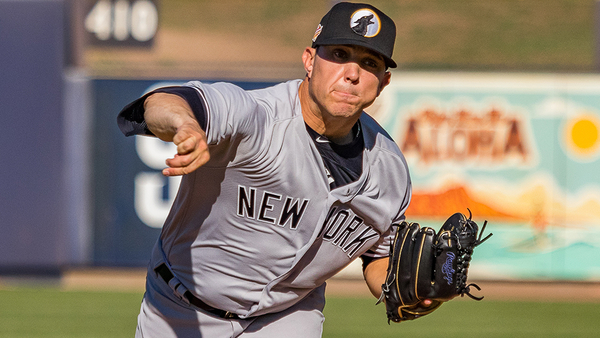 The Yankees signed RHP Matt Wivinis out of the independent Frontier League, reports Matt Eddy. He went undrafted out of Eastern Illinois last year, then struck out 43 in 39.2 innings with the Evansville Otters. Teams don’t sign indy ball kids to fill out minor league rosters at this time of the year. 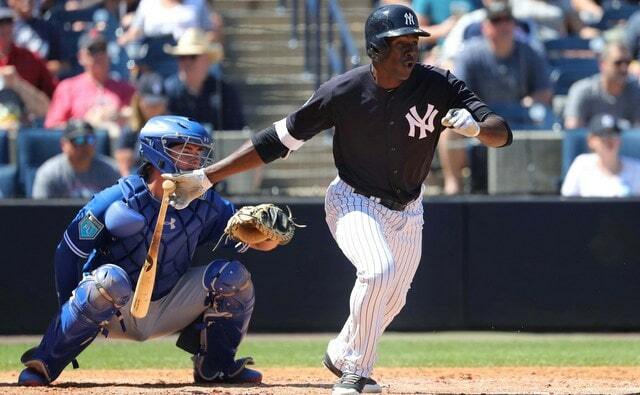 The Yankees must see Wivinis as an actual prospect. 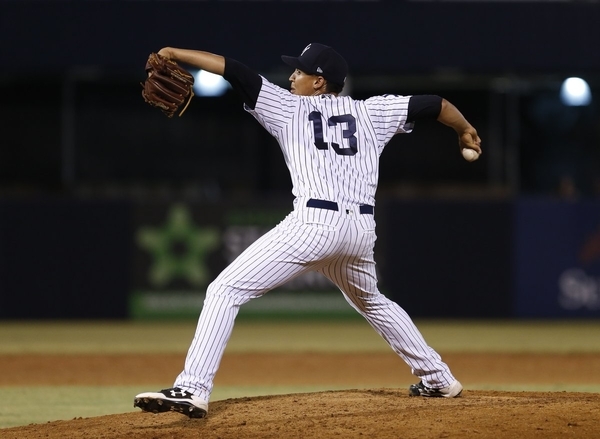 The Yankees have also re-signed RHP Jose Pena, reports Eddy. Pena has great numbers, having pitched to a 2.66 ERA (2.38 FIP) with 29.6% strikeouts and 5.6% walks in 199.1 minor league innings. He’s also battled injuries, which is why he’s yet to make it out of rookie ball at age 25. And finally, Torres was named the AzFL Player of the Week last week. Also, Andujar placed ninth on this week’s Prospect Hot Sheet, and fans voted RHP Jonathan Holder the top reliever in the minors this year. Pretty cool. SS Gleyber Torres: 9 G, 10-32, 6 R, 2 2B, 3 HR, 7 RBI, 6 BB, 5 K, 2 SB, 2 CS (.313/.421/.656) — wonder what the Sterling call will be? UTIL Jose Rosario and RHP Anyelo Gomez are both listed on rosters as well, but they haven’t appeared in a game yet. The Roberto Clemente Professional Baseball League (Puerto Rico) started their season just a few days ago. IF Cito Culver, IF Vince Conde, and OF Aaron Judge are all listed on rosters, though they haven’t played yet.